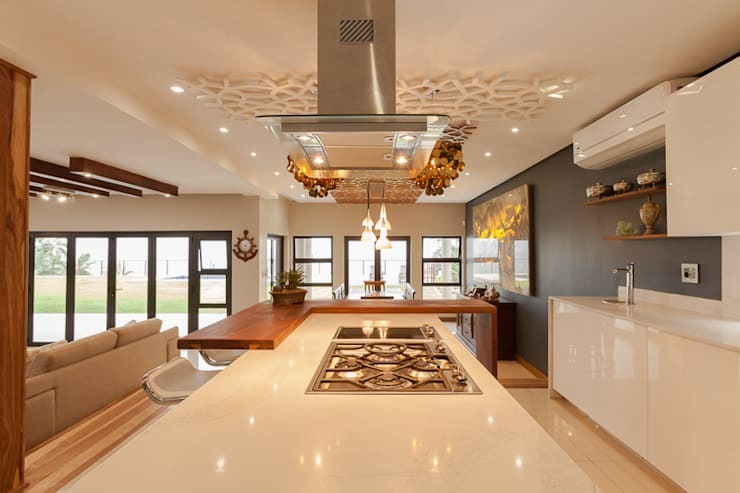 No need to scoff at a space that’s been designed or styled up by a South African professional – when it comes to architecture and interior design, our country has some of the world’s finest experts! 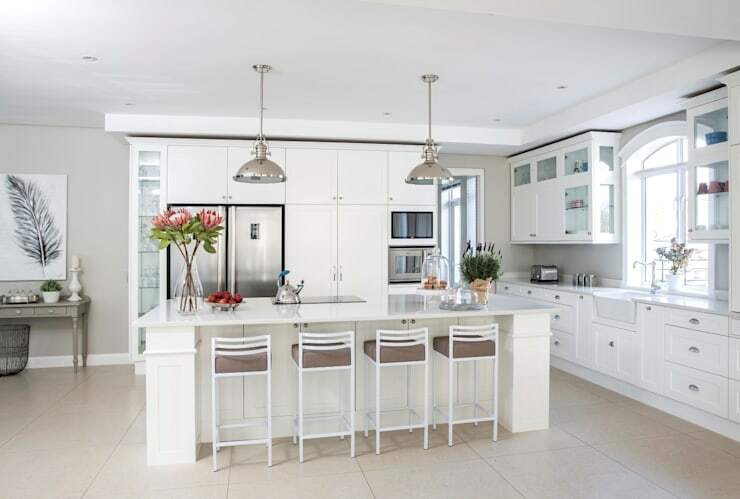 Case in point, today’s piece which focuses on the kitchen, and clever tips that anyone can copy to make the heart of their home more stylish, practical, visually spacious, aesthetically pleasing, etc. – and they are all designed by local talent. 1. Notice how this kitchen door carries forth the floral theme, balancing delightfully with the flowers on the peninsula. 2. A lover of light neutrals? 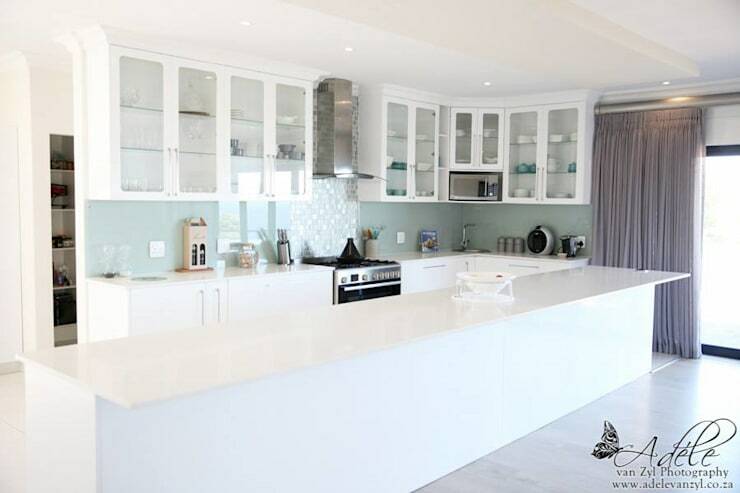 See how stunning and spacious this kitchen looks thanks to those whites, off-whites, creams, light beiges, etc. 3. 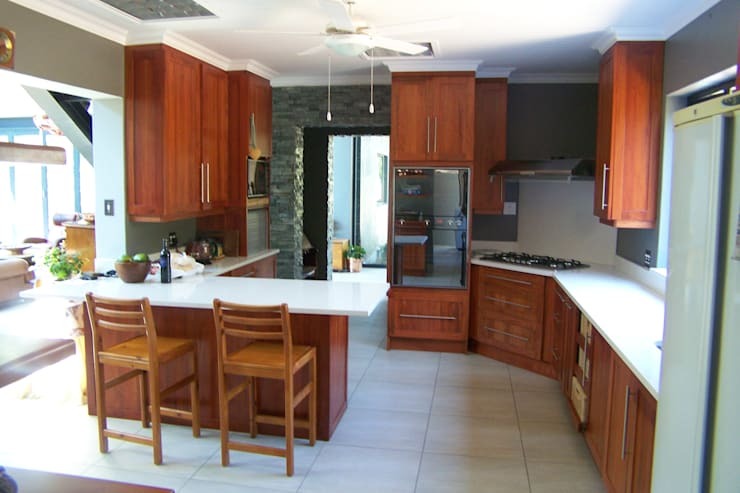 For a warmer look, we recommend going with wooden cabinetry in a richer hue, like this enchanting creation. 4. A bit of detail never hurt anyone – kudos to the designers for including that subtle (yet still noticeable) tiled backsplash! 5. 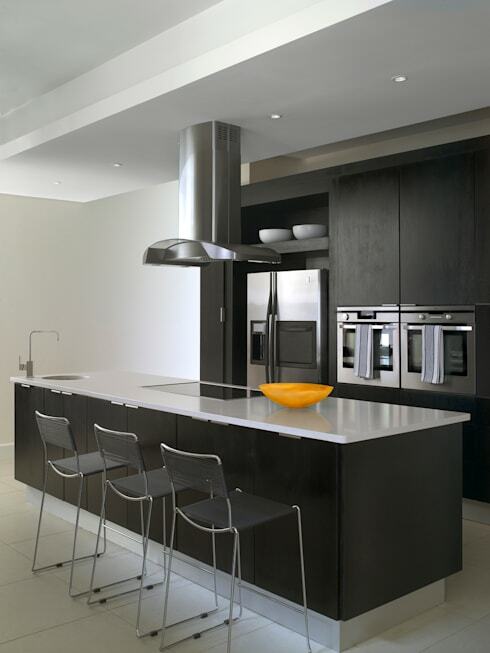 Want your monochrome kitchen to have more pizzazz? Add a touch of warm colour via the décor. 6. Never underestimate the power of a well-placed tile, like these mosaic-styled backsplashes that add some pattern and texture. 7. 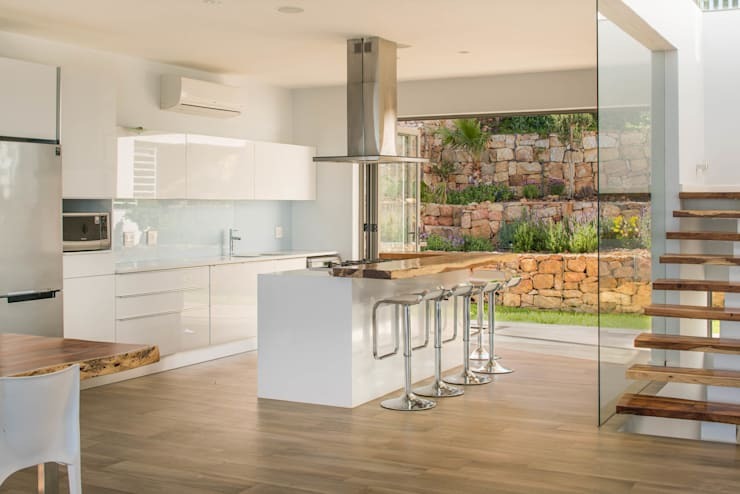 A generous window or glass door can help open up a kitchen space and make your interiors look (and feel) much more roomy. 8. 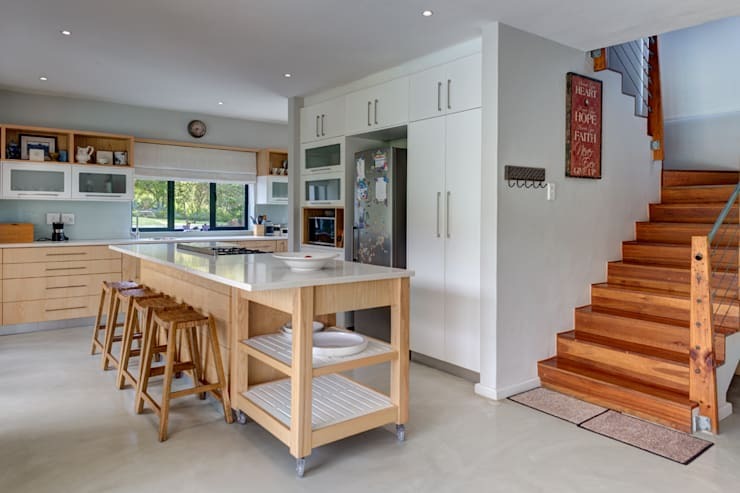 That timber-clad breakfast bar adds a striking touch to this sleek space. 9. 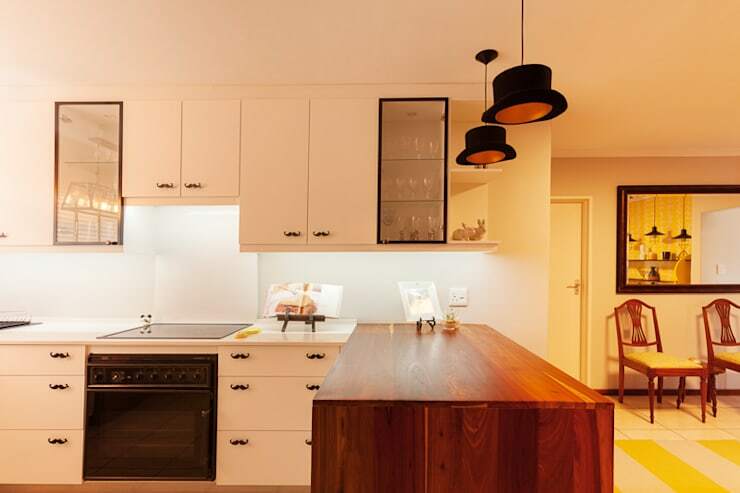 Always add a personal touch, like those quirky drawer handles and ceiling pendants – how unique! 10. 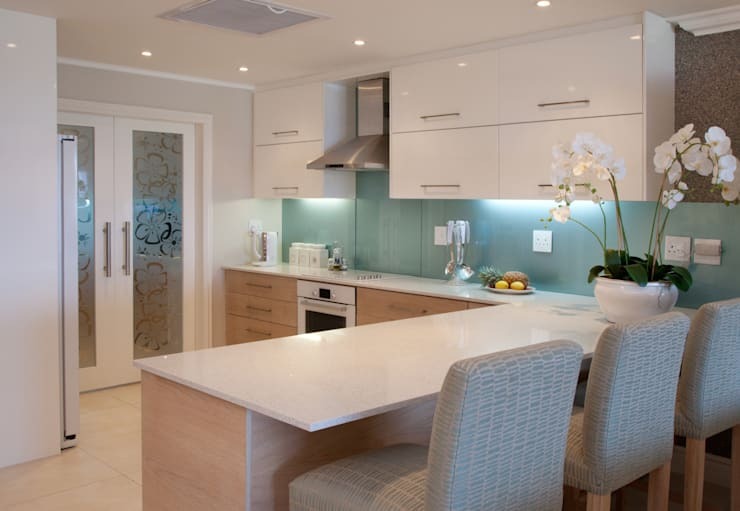 Glass doors for your cabinetry can help to open up your kitchen and make it look more visually spacious. Just keep an eye on those clutter levels. 11. A kitchen cart is a heaven-sent invention, as it’s an island that cleverly rolls out of the way when space becomes restricted. Feeling cramped while cooking? 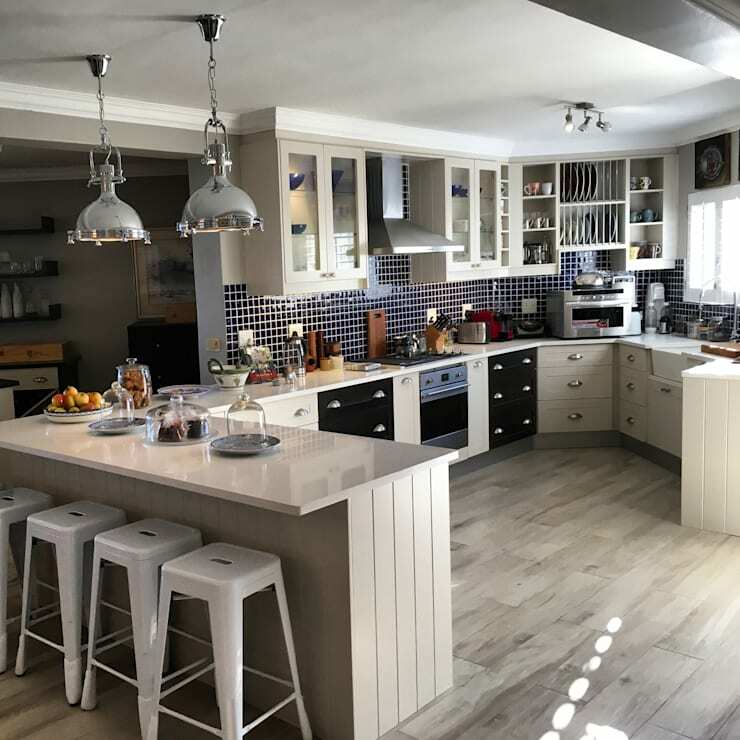 Have a look at New this week: seven ways to make your kitchen feel bigger. Which of these kitchens/tips will you be copying back home?